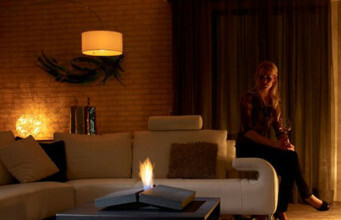 The view of the flames dancing in the ethanol fireplace pleases the eye, relaxes and improves the mood. 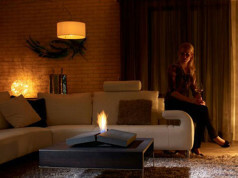 To enhance this unique experience and enjoy a fuller view of a graceful play of fire and light, we may choose the ethanol fireplace with the panoramic insert. 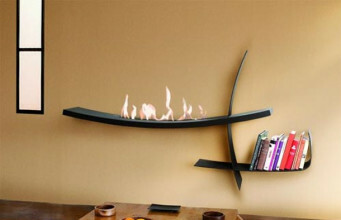 This type of ecological fireplace has a much elongated design of the cartridge. While the front glass pane that protects against open fire with its shape resembles a widescreen monitor. 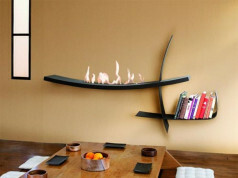 Hanging panoramic ethanol fireplace will perfectly develop an empty, large wall and will certainly impress with its appearance. In comparison with the TV or the picture it has no equal. 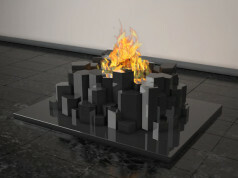 In some models of free-standing or built-in ethanol fireplaces, glazed side panels show considerably more flaming tongues of fire. 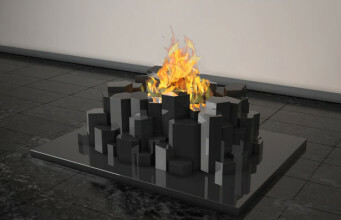 However, this solution requires a large space, as the fire in all its glory is best viewed from the distance. 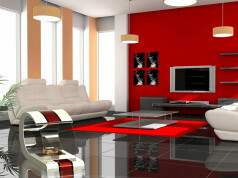 Therefore, it suits ideally to large open and spacious rooms. The interior decorated in a minimalist style accepts the emanating glare of the ecological fireplace. Panoramic shapes are a praise for modernity. 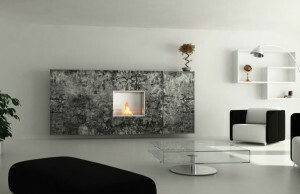 Ethanol fireplaces designed in that spirit are characterized mainly by simplicity, harmony and monochrome colour. 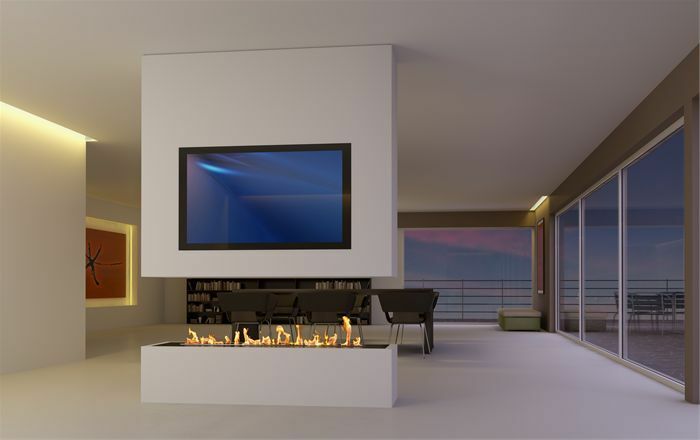 The room devoid of unnecessary decoration, panoramic ethanol fireplace will provide the greatest ornament. A wide format allows us to enjoy the fire in all its beauty. Such a soothing sight makes the evenings spent in good company even more pleasant. 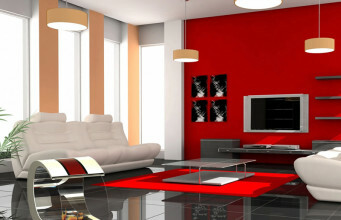 In addition, it illuminates the surrounding and creates a warm atmosphere in a minimalistically decorated interior.